We are getting to that part of the year in room 219 where some students have fallen off the homework wagon. I'm sure many of you know what I'm talking about. The time of the year where the newness has worn off, students are excited about the holidays, and some of those frequent homework missers are coming out of the wood works. Then you have those amazing kiddos who not only do their homework every night, but they do it diligently and make you so proud! Those poor muffins sit there while you lecture the class on responsibility, and respect, and how it doesn't hurt you, it hurts them when they don't do their homework. Do you all know what I'm talking about? Can you relate? Need a solution? 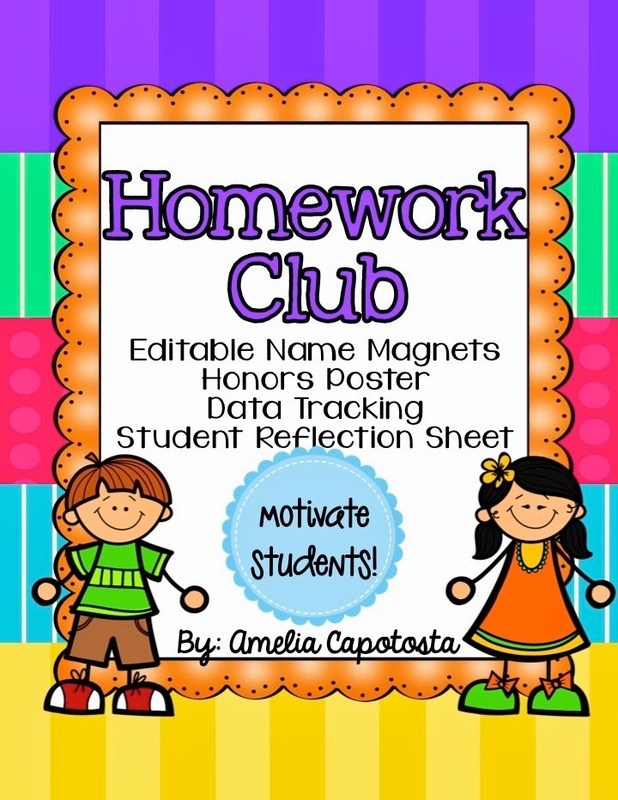 I know many of you already do homework clubs, and it is not a new concept. But I wanted to share with you today how we do ours, and give you a little freebie to make your own! All of my students have their names on a laminated 2" circle with a magnet on the back. 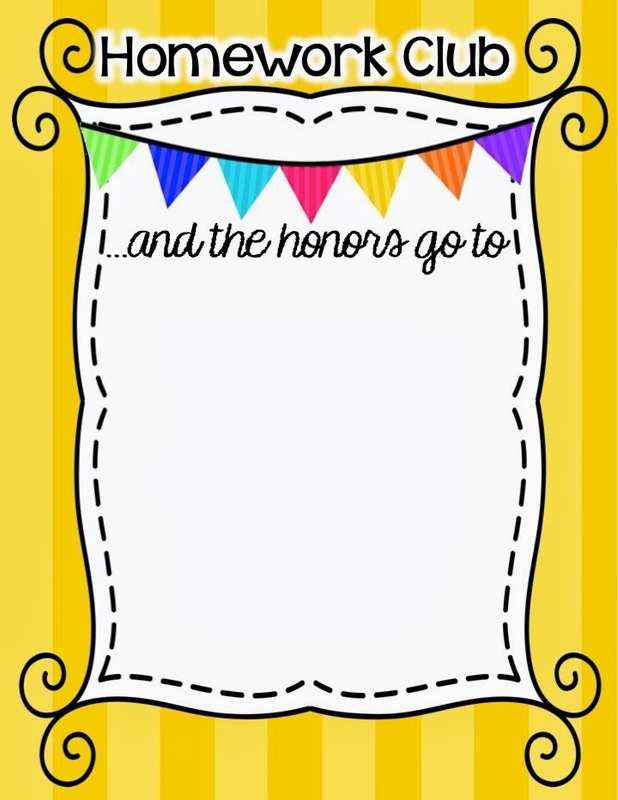 On Monday, all of their names are up on our homework board! Throughout the week, if a student misses a homework, he or she has to take their button down and put it in a bin. They are no longer part of the "homework club." On Friday, if their button is still up, these students get an extra 25 minute recess at the end of the day! Now in 4th grade, we are not allowed to do an "extra" recess every day, so our kids ONLY get 10 minutes of recess a day (right before lunch.) So this 25 minute recess is a coveted thing in our classroom! What do the students who don't make the club do? They stay inside with either my teaching partner or myself (we take turns who takes the kiddos out and who stays in) and write a reflection sheet on WHY they had to miss recess. This paper has to go home over the weekend and be signed by a parent and brought back on Monday. 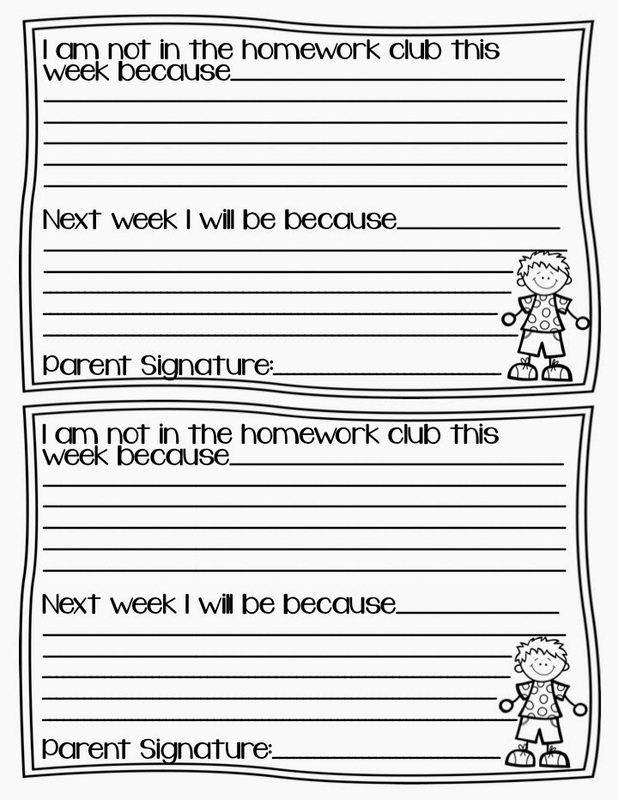 I also keep track of when each student makes or misses a homework club. I use this to help me with some areas of personal achievement on their report card, and for conferences. It's simple, isn't it? But it is definitely sparking motivation in our students. 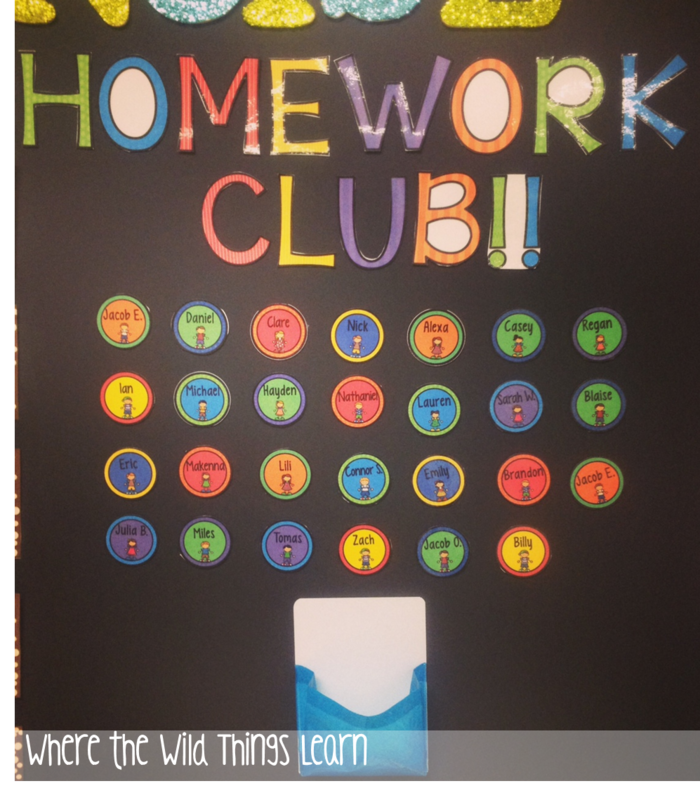 I love that it gets some of our frequent flyers to start getting their homework done, and actually rewards those kiddos who diligently do what they're supposed to. 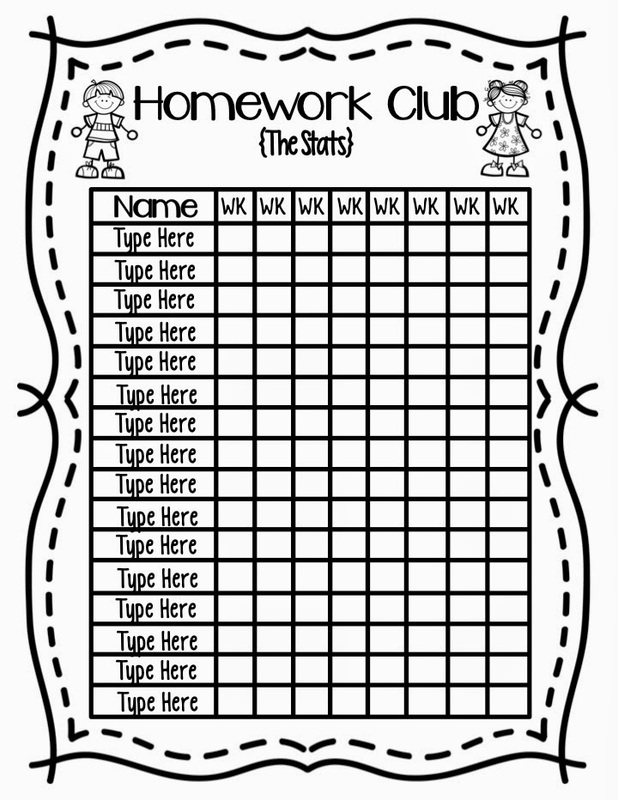 To make your own homework club like ours you can click here to download this for free from my TPT store! Do you do a homework club? Or do you handle homework differently? I'd love to hear your thoughts! Thanks for the awesome freebie, Amelia! Wonderful idea! I like the reflection page too! Thanks so much! What a great idea! I love the reflection page! I hope it works well for you!! OMG!!!! I love this idea!!!! I am SOOOOOOO doing this! 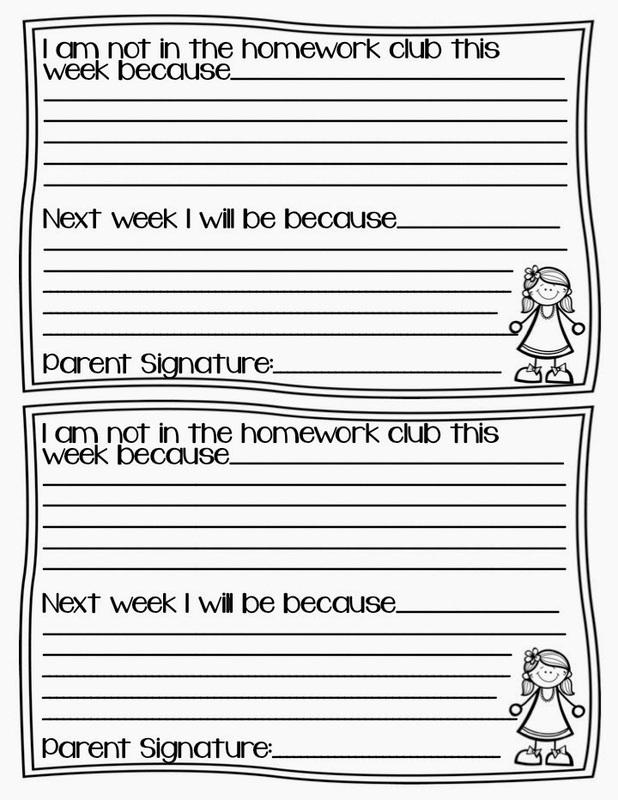 Is there a note that you send home to the parents explaining your homework club?